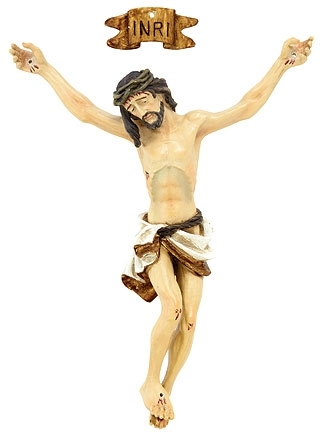 Our resin corpora are perfect for those individuals who enjoy making their own crucifixes. Each is finely crafted, amazingly detailed and tastefully hand painted. All corpora are shipped completed with and INRI plaque and nails for mounting. Comes complete with INRI plaque and nails for mounting.